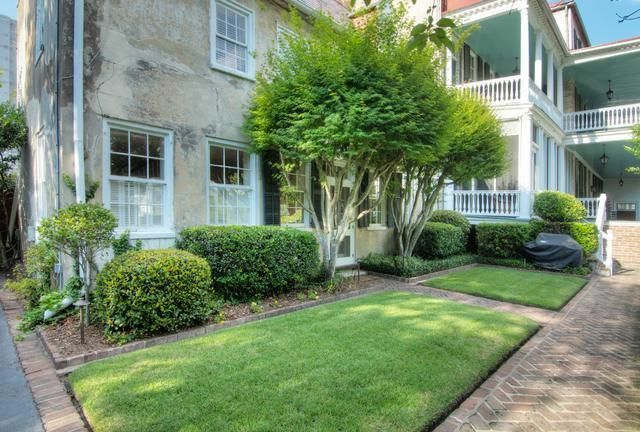 This Federal style house is distinguished by its unusual height and by its many north facing windows. 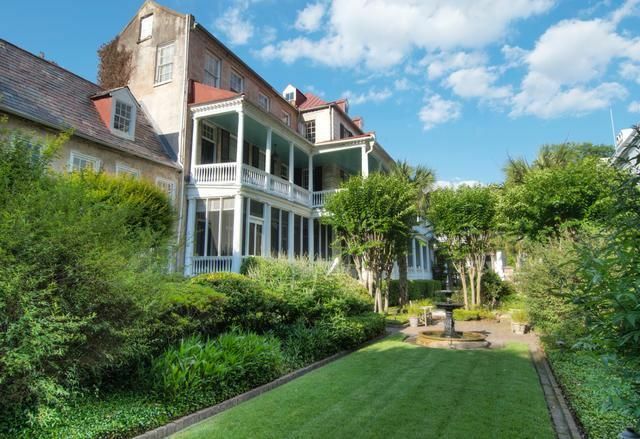 Situated behind an original stuccoed patina wall, the residence is both grand and private and the historic fabric of this 18th Century, Adam-style residence is incredibly intact and restored. 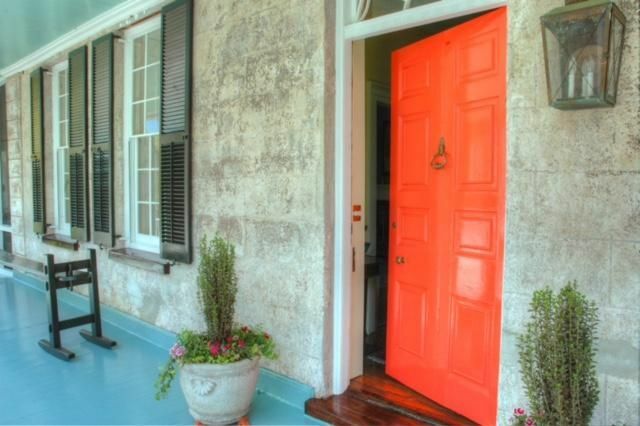 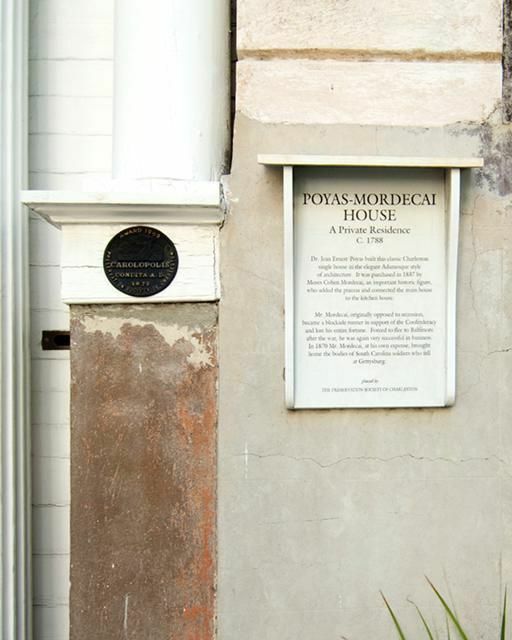 A most unique and historic feature of the property includes the original door used to enter the carriages directly from the house. 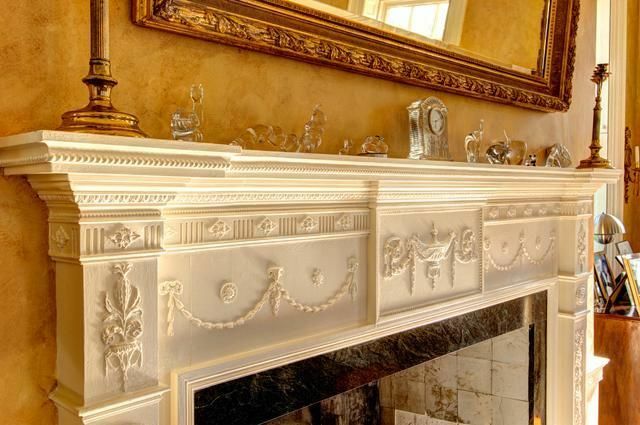 The fireplaces, mantles, moldings, staircase, interior shutters and many other details are pure in form. 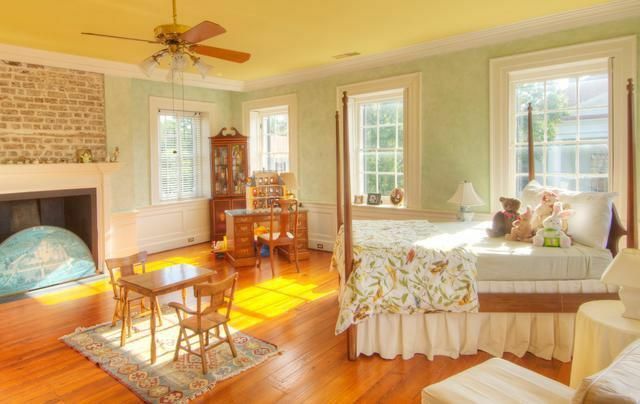 The generous room sizes are filled with large shuttered windows bringing in warmth and light. 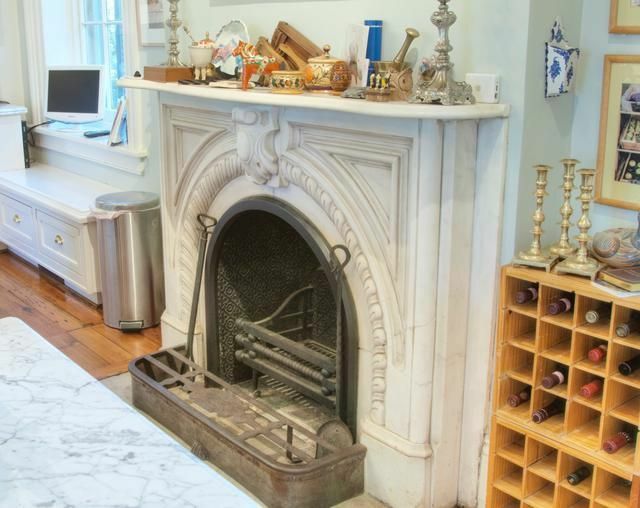 The first floor boasts a kitchen in keeping with the historic nature of the rest of the house. 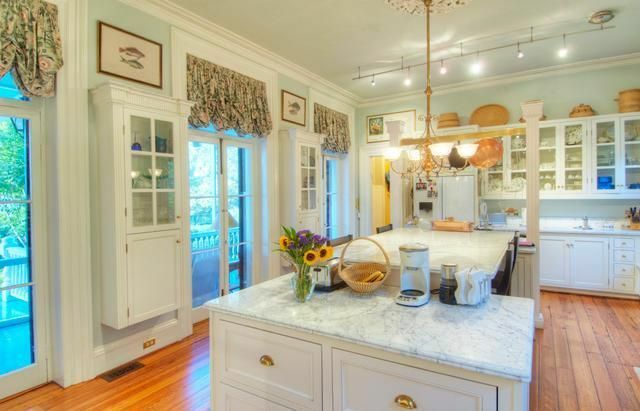 The ''old world'' kitchen has marble countertops, custom cabinetry, hardwood floors and a large center island for family gatherings. 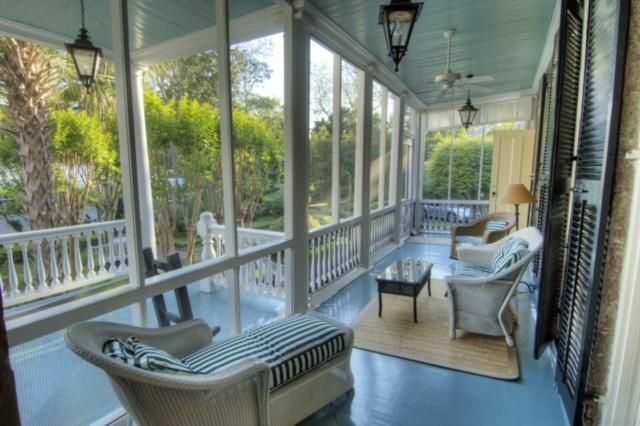 The kitchen and elegant dining room have access to a large screened porch. 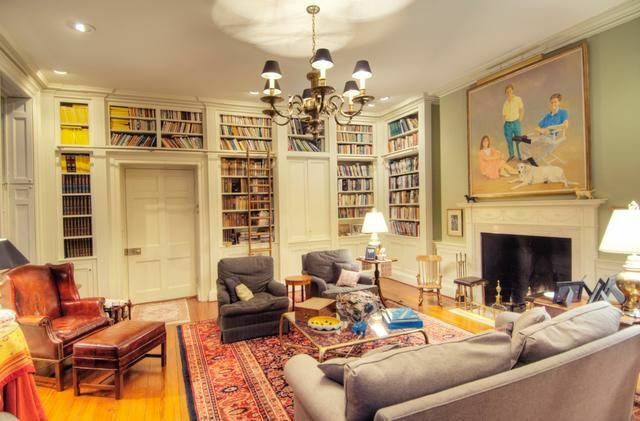 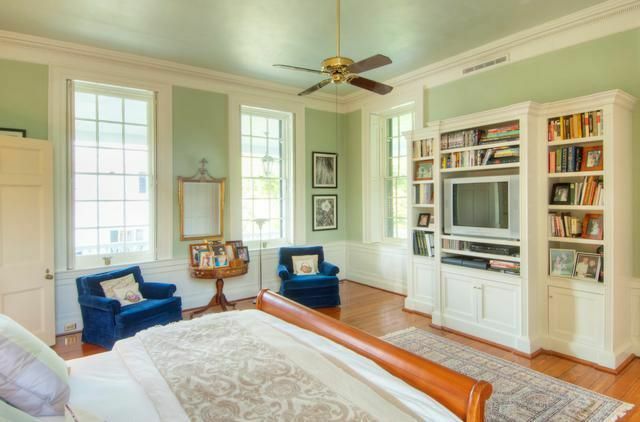 The first floor also includes a light filled library with custom built-ins, beautiful details, and an original fireplace. 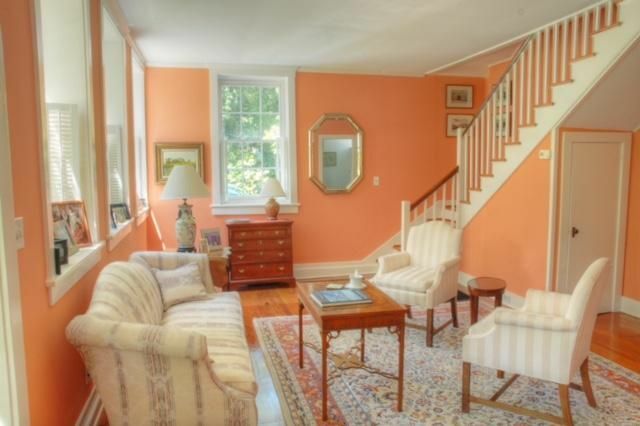 The 18th century staircase leads to the stunning second floor drawing room and the master suite. 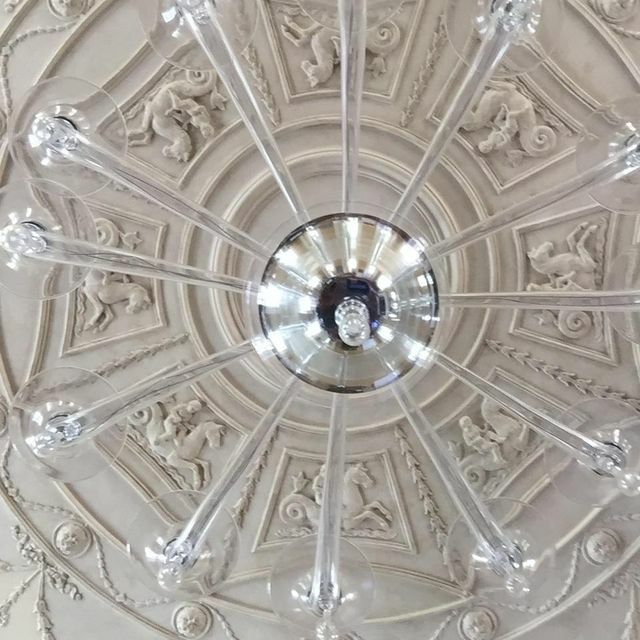 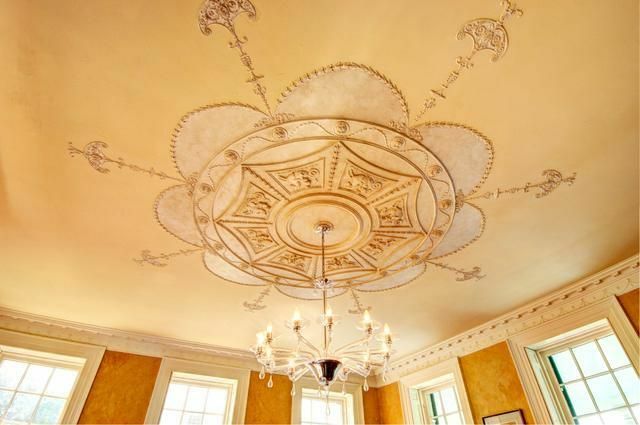 This drawing room has stunning plasterwork, a fireplace and an intricately detailed ceiling. 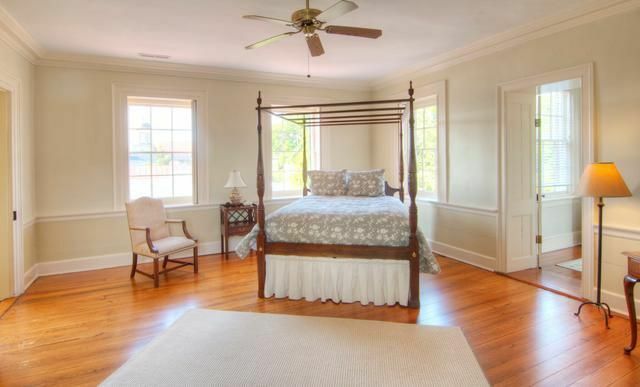 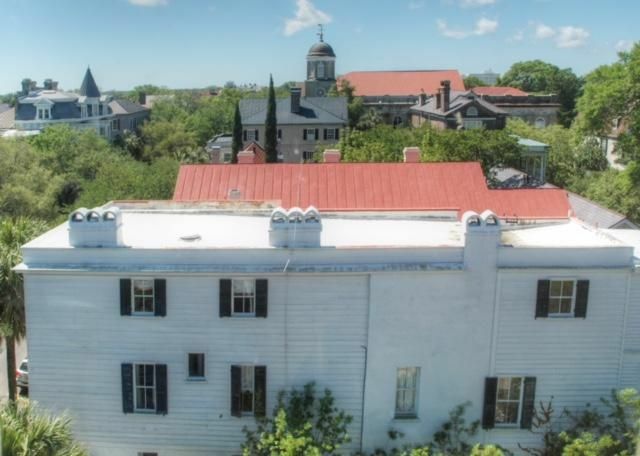 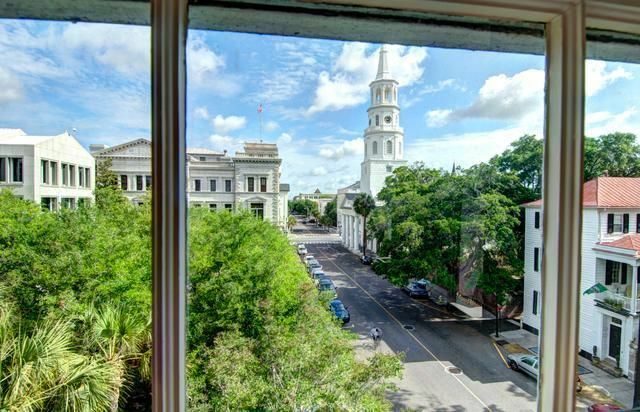 Two additional bedrooms and baths are housed on the third floor of this Charleston Single with large windows framing a perfect view of St. Michael's Steeple, the rooftops and other church steeples of Peninsular Charleston. 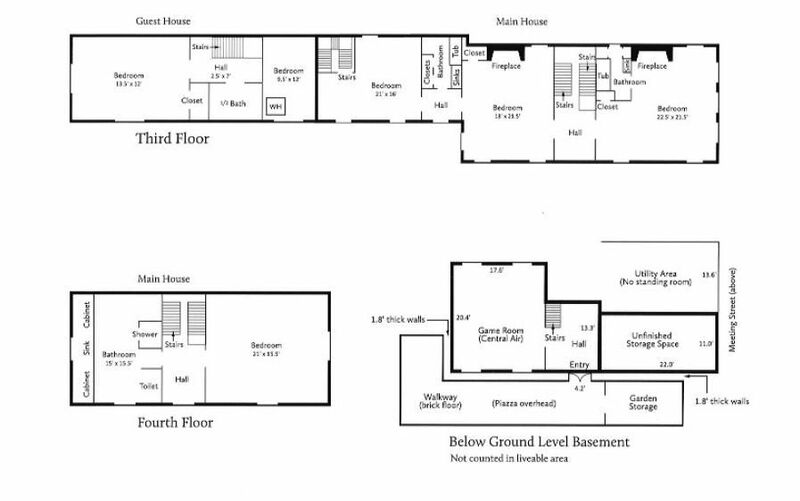 The 4th level has exposed beams and wide plank floors. 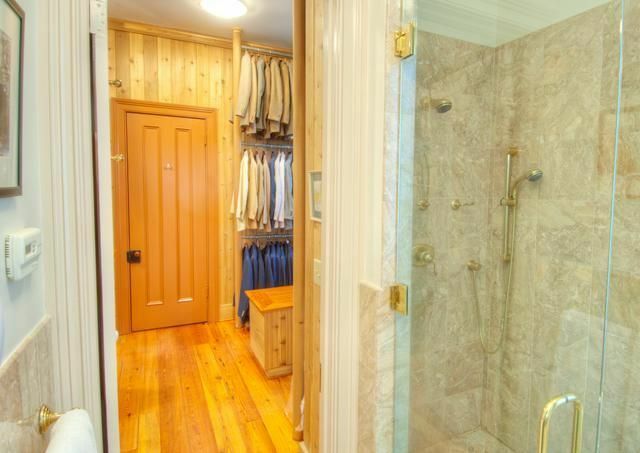 This finished level can be used for additional bedroom space, storage, an exercise room, or studio. 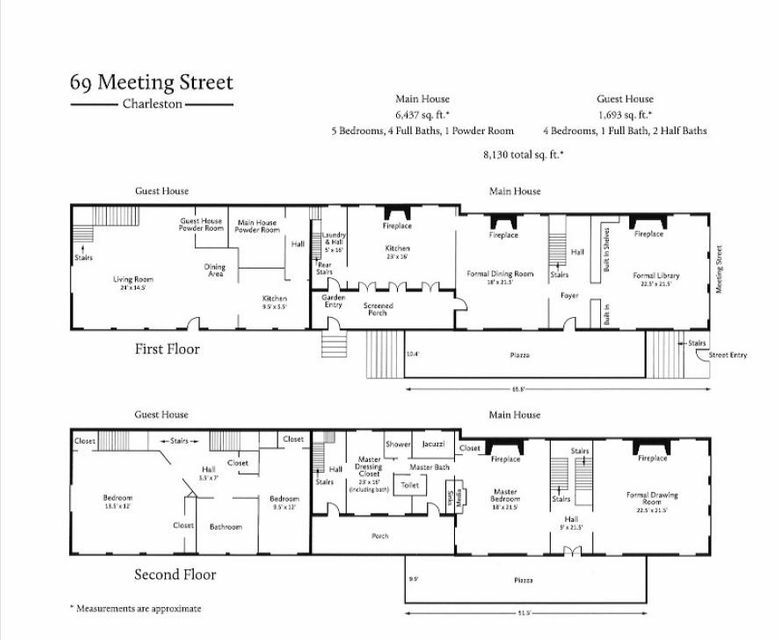 There is an English basement that easily lends itself to a magnificent space for a wine cellar and tasting room. 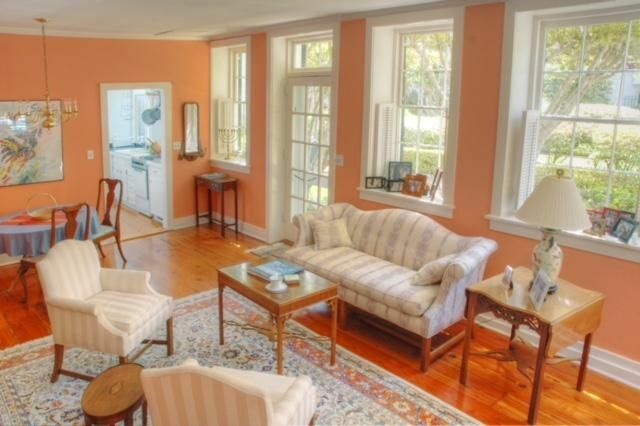 The carriage house is bright, renovated, and spacious with 2+ bedrooms, 1.5 baths, living room & kitchen. 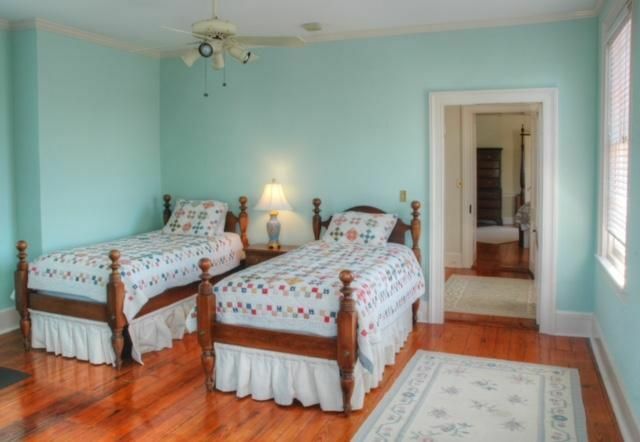 This extra space can be leased or used for guests. 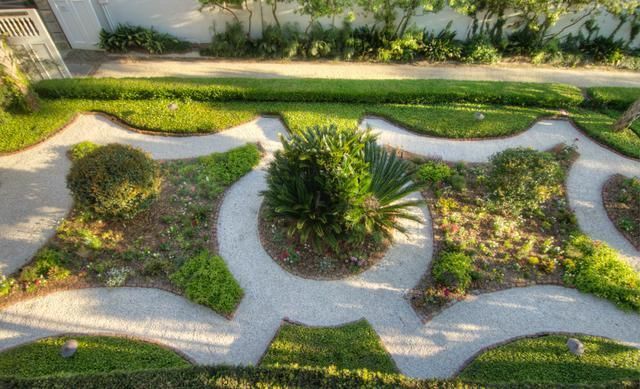 Last but not least the grand piazzas overlook the beautiful walled garden below. 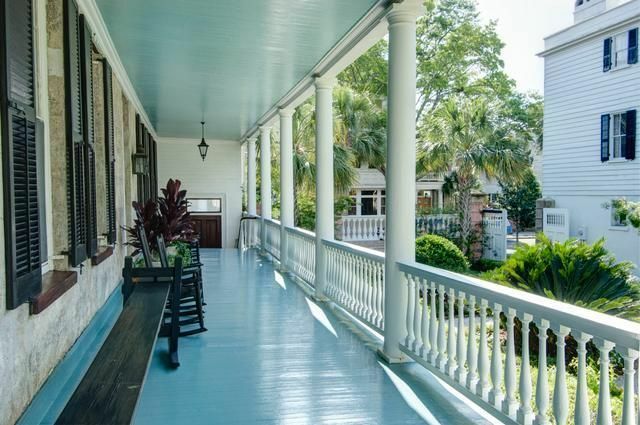 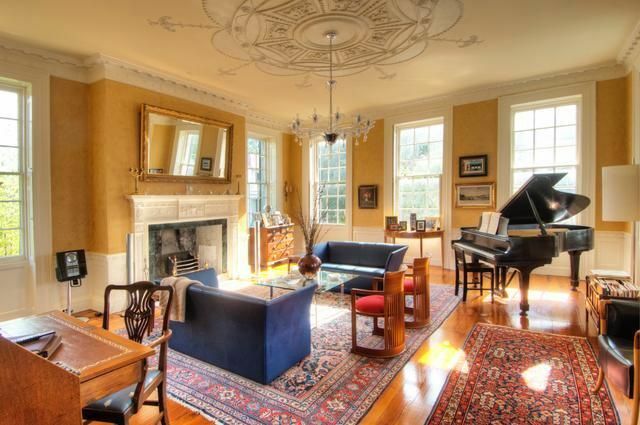 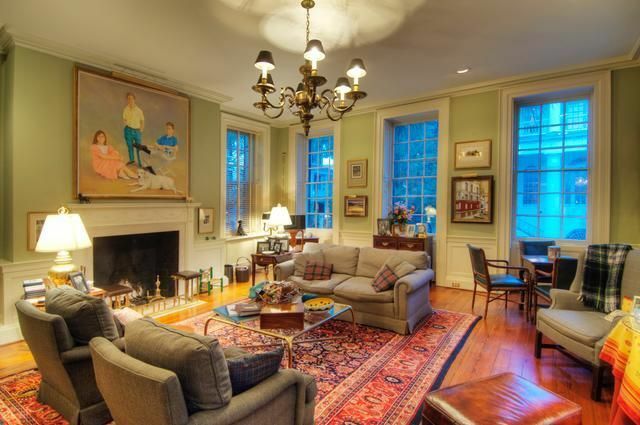 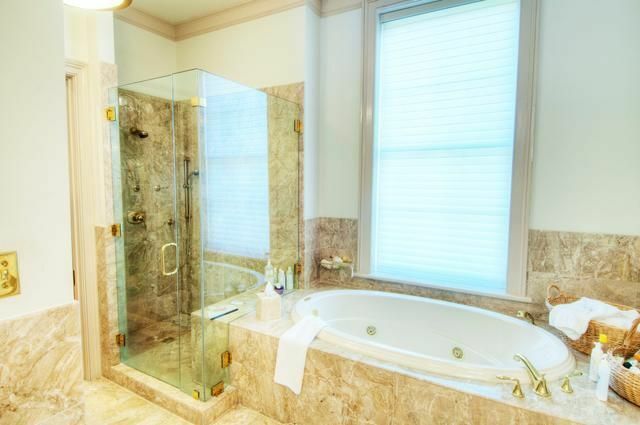 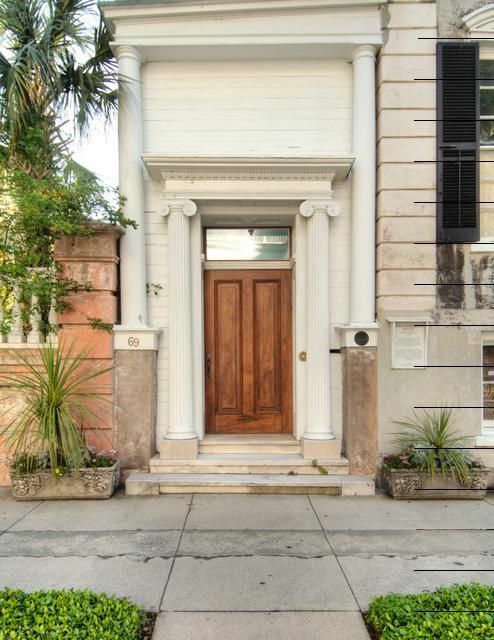 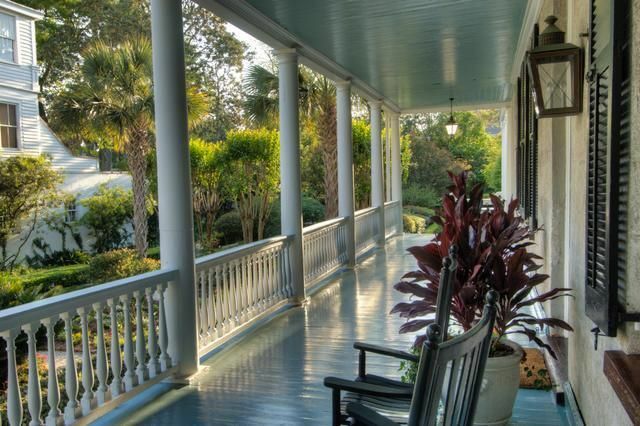 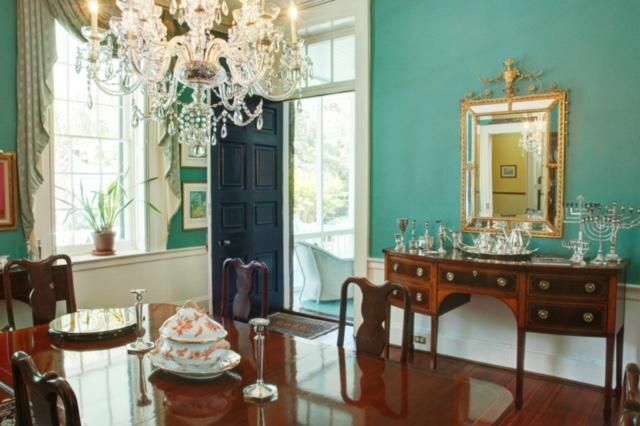 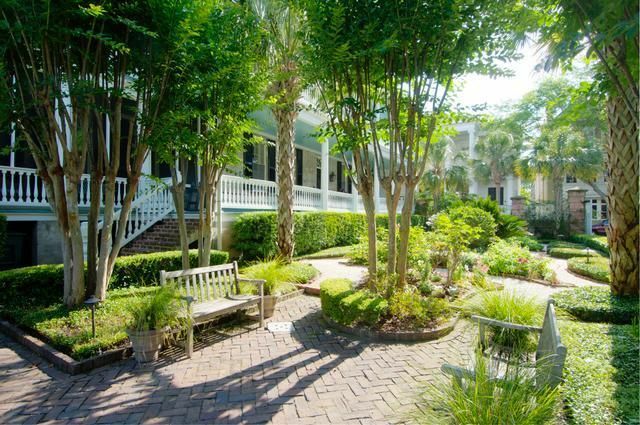 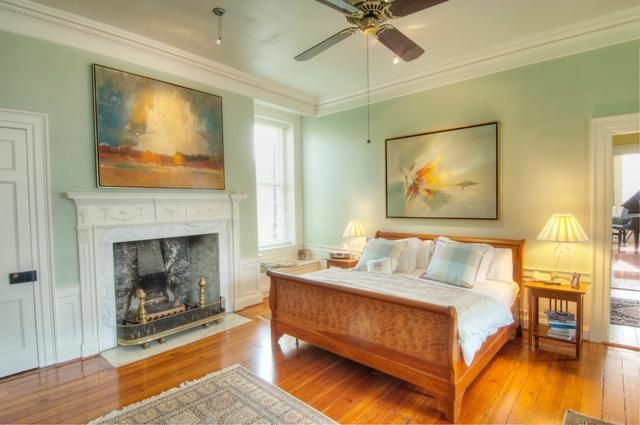 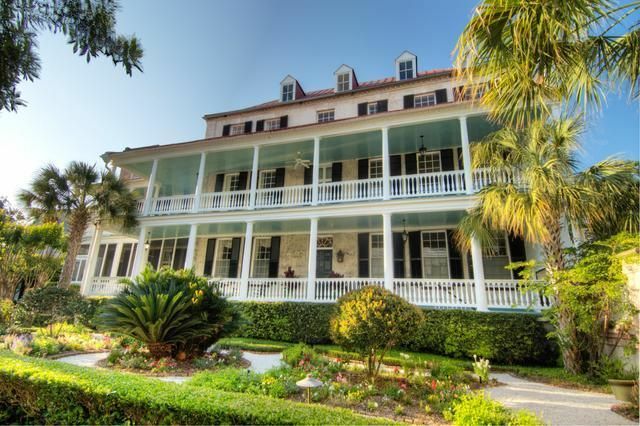 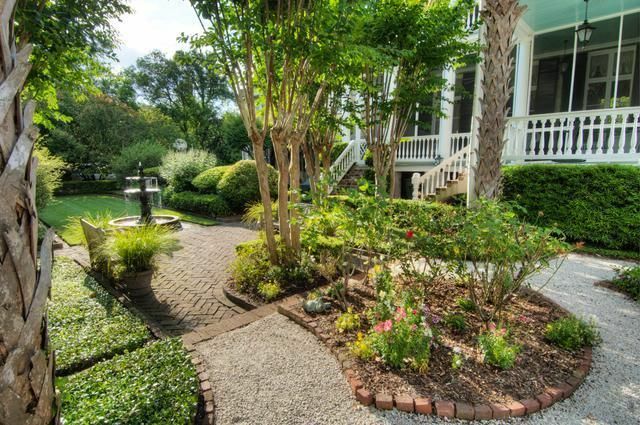 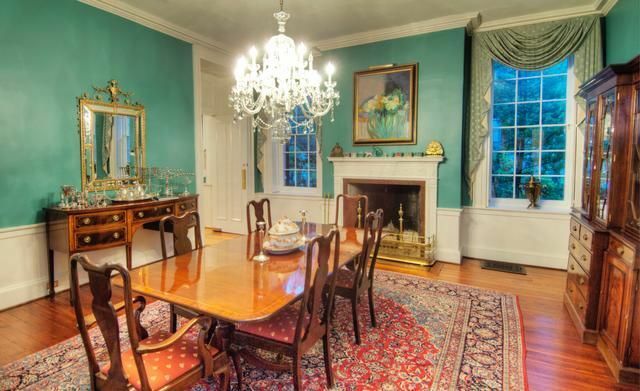 This property exemplifies Charleston in every way. 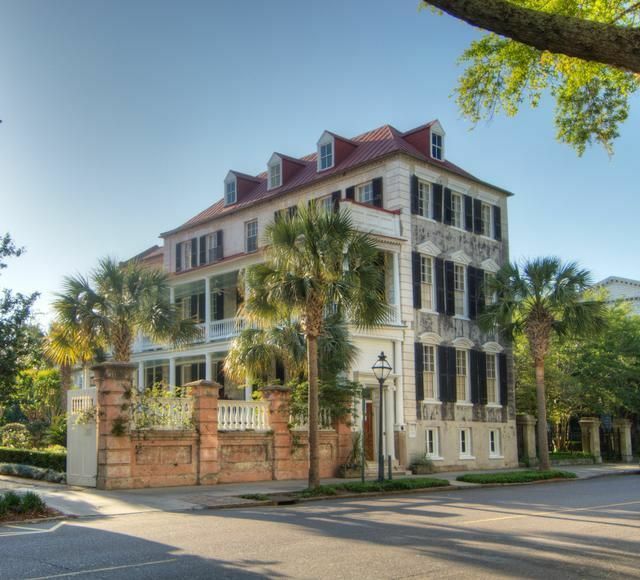 Enjoy this jewel of Charleston.